We supply and service commercial and industrial warehouse and factory roller doors and perimeter gates with installation by experienced technicians. For high wind situations and vandal resistant roller doors, we recommend wind-locked commercial roller doors which lock the edge of the curtain into the tracks. We provide our property maintenance services to over 200 Real Estate, Strata and Property Managers throughout the Perth metropolitan area. We specialise in annual and end-of-lease servicing and repairs. If a forklift or truck damages the warehouse roller door or entry gate, we can usually attend to repairs ASAP and provide a quote for insurance claims. We also supply and service warehouse and factory roller shutters, Grifco and ATA motors, boom gates, bollards, access control, vehicle detection loops, safety beams and battery back-ups. 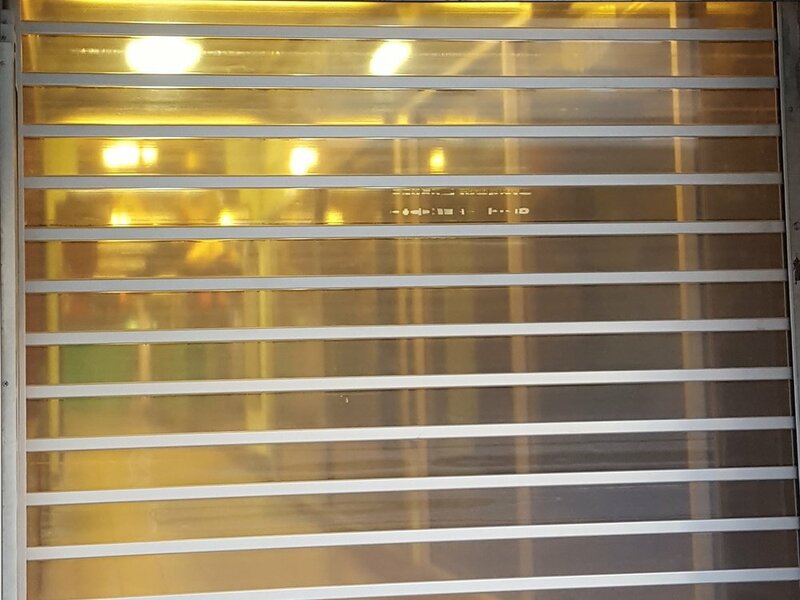 We also supply and install steel window roller shutters to protect windows and doors for shopfronts, counters for all exterior and interior applications. Bluescope Colorbond © Steel in a variety of colours. Quality Merlin, Grifco & ATA door openers offer greater security and convenience. Commercial doors are profile formed for extra strength and security with deeper tracks and come standard with chain drives or optional Grifco automatic openers and security and safety devices. Commercial sectional door with Grifco motor.